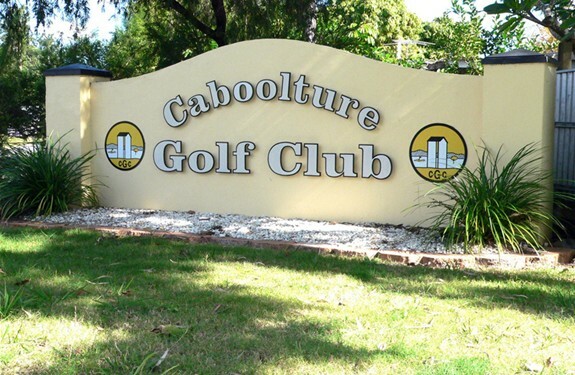 Caboolture Golf Club enjoys an established course that both Members and Visitors enjoy playing every week. 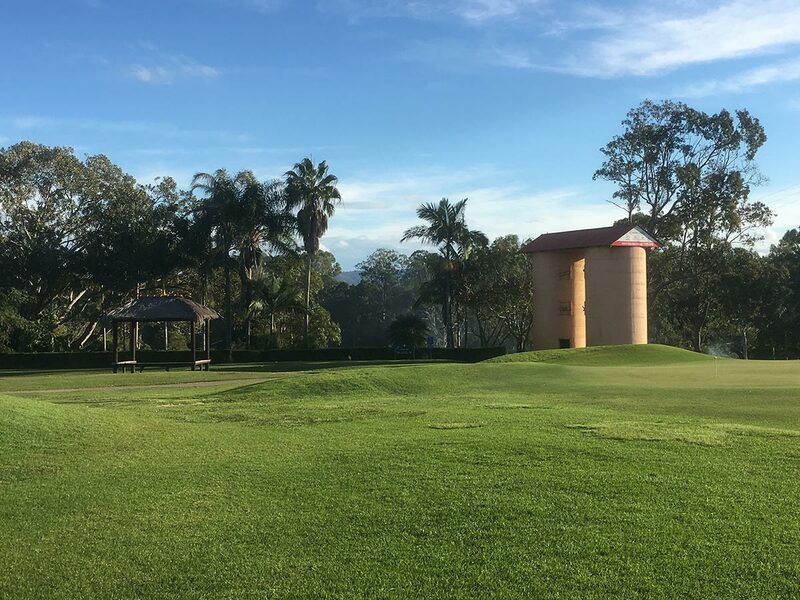 At 6059 metres in length, with water hazards, manicured bunkers, excellent fairways and large (328) greens, it all adds up to a great test of golf. A major plus is the variation in the all the holes with no 2 the same. The course underwent an extensive re-design some years ago and the investment really shows today. 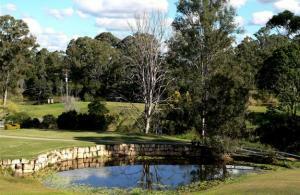 The signature hole is the 17th, a par 5 double dogleg with water on both sides and fairway bunkers on each corner. If that is not enough, the green is surrounded by water and bunkers. Your game is not finished until this hole has been played and conquered. A good starting hole with a high degree of difficulty for most players. Fade the ball either through the gap if you are long enough or around the left side of the big gum otherwise. Mind the dam in the rough on the right. Slightly undulating green protected by two bunkers, the largest on the left side. Slight bend to the left is the feature of this longer and somewhat difficult hole. 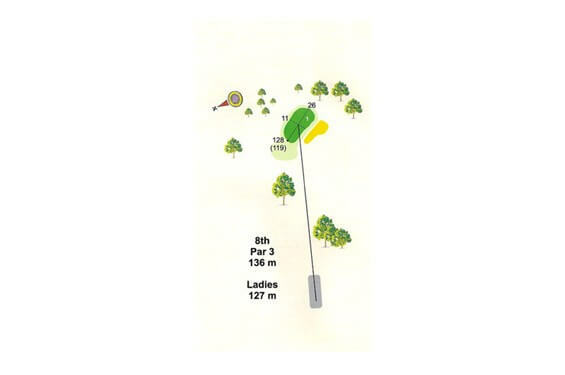 Drive should be aimed at the big tree in the distance, favouring a drive just right of the centre line. A two-tiered gree with two bunkers – don’t be too long if the pin is forward on the green or a three putt looms. OOB behind the green across the road. 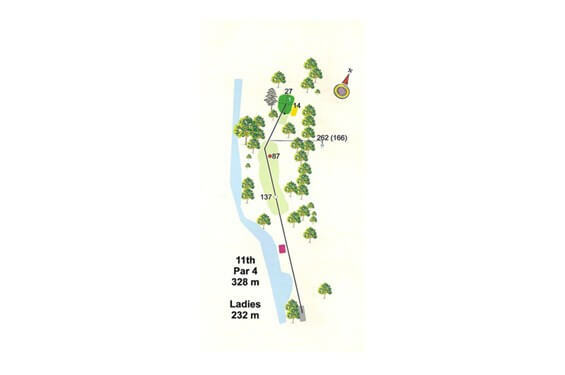 A dogleg to the right around the big tree leaving about 220 metres to the green. A fade from the tee is ideal leaving a better shot to the green, well protected by bunkers left and right. OOB runs all down the left hand side with a hazard on the left past the last house. 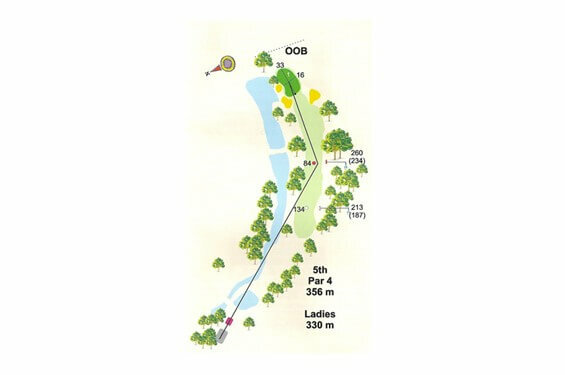 Balls landing short will run into the left bunker unless faded through the gap. A large green set about 45 degrees to the direction of play. Bad shots clearing the green may find the water behind. A straight forward hole well protected by four bunkers. Errant shots left, missing the bunker, may well find the hazard. Balls landing on this green typically roll to the left due to the contouring of the green. 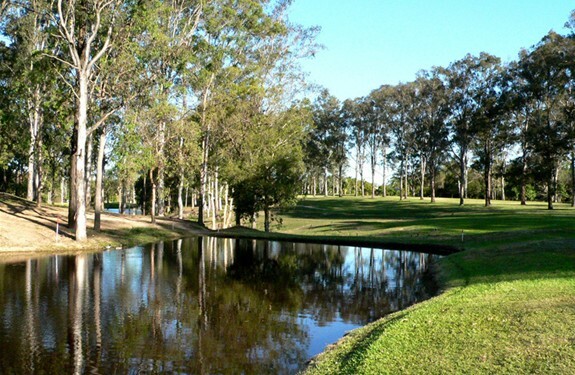 A harsh dogleg left; well protected by water or hazard up the entire left side. The large mango tree is in the line without too much draw as the ball rolls left naturally. Longer hitters may benefit from using less club so as not to drive through the fairway. A large multi-contoured green protected by three bunkers and with the hazard close by on the left side off the green a definite area to avoid. There is a good safe area on the right. Subtle breaks on this green make putting difficult. 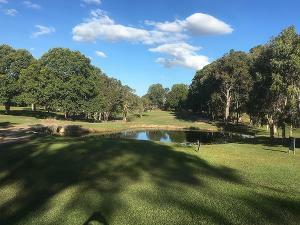 Another high rating hole on the index, played as designed is not difficult. The drive should be worked right to the left off the right side of the fairway providing a simple shot downhill to the green. 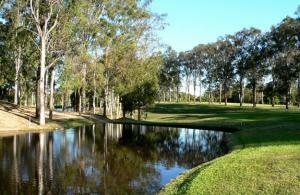 Wayward shots to the far right may finish down on the 7th fairway or be unplayable on the bank. The green in slightly contoured, protected by a bunker on the left side and hazard way behind the green at the tree line. This hole is a sleeper, although short the hazard on the left for the full length of the hole catches the unwary. 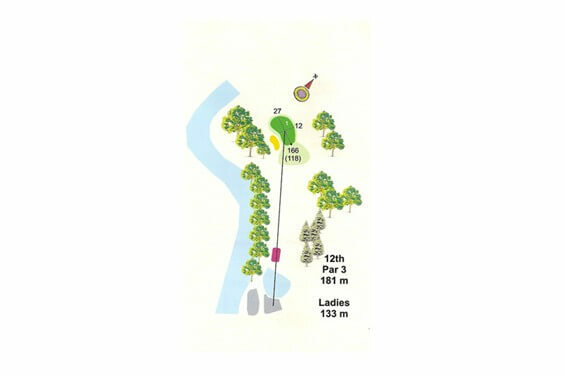 The ideal line off the tee is the centre of the three small trees on the hill with a slight draw. This leaves an uphill shot to the flattish green with is protected by two bunkers. The oleanders at the back create unplayable lies for the long wayward shots to the green. Watch the hazard on the left of the green here. 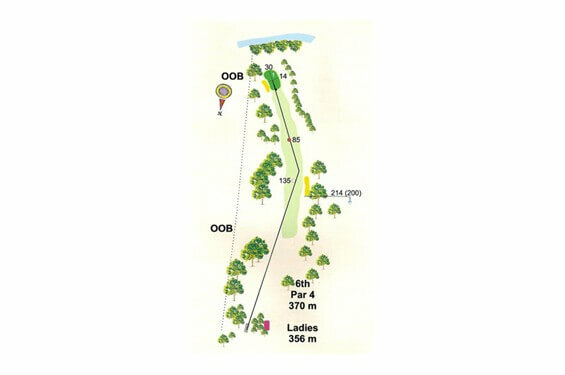 Easiest hole on the course – downhill and often into the wind compounding the difficulty in club selection. Best tee shots are the longer ones as all the trouble really is for shots that come up on the short side due to the angle of the green or are faded into the right bunker. 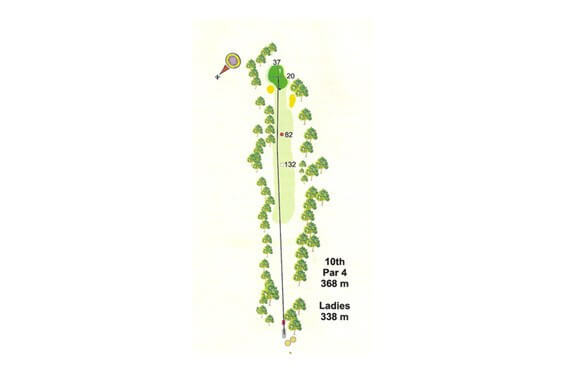 A largish relatively flat green makes shots hit away from the pin position more difficult for putting. 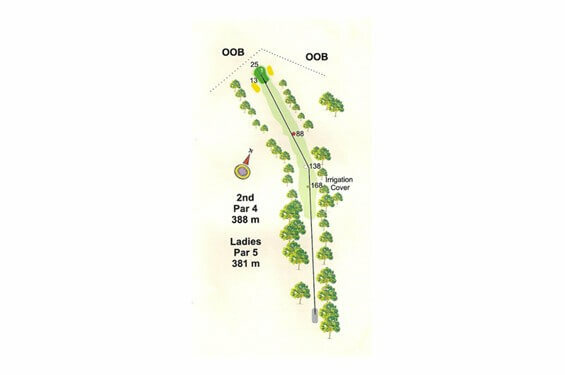 The ideal line is the larger roundish tree on the left hand edge of the fairway about 300 metres from the tee. The ball will roll to the right when it lands. 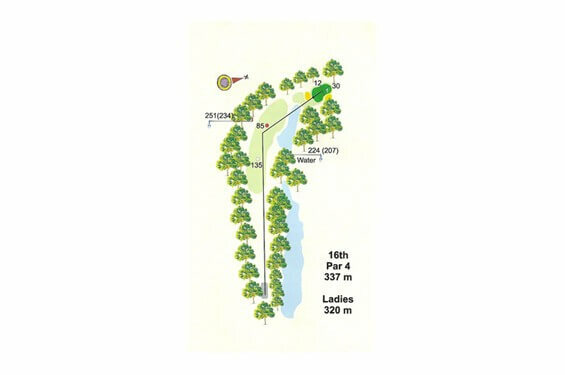 Avoid the right hand side of the fairway as the ball may roll into the trees or even the dam, as there is lots of run on the shots that hit the harder ground. 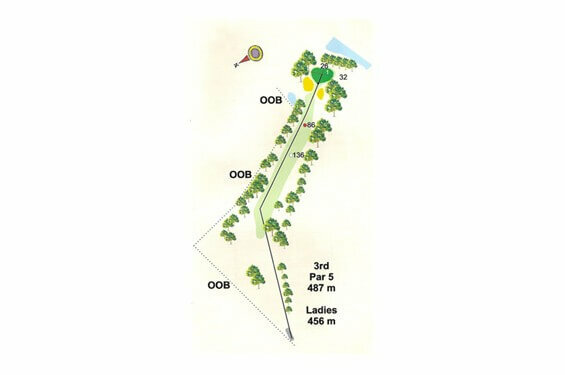 The second shot line is towards the left fairway bunker, avoiding complications from the big tree on the right. The green with subtle breaks, is well protected by three bunkers. A straight away hole where the ball kicks right on landing. Best shot is down the left side of the fairway where the fairway is flatter. A bad fade will finish in “no mans land” on the 11th fairway. Plenty of undulation in this large tiered green preotected by a forward bunker on the right and a greenside bunker on the left. If the pin is at the back, take an extra club. A hole with a slight bend to the right, no drive should be in the right rough as this leaves the hardest shot on the entire course. There is a hazard all the way down the left side but should not worry most players. A difficult two tiered green protected by a bunker on the right. Avoid the left side and the rear as they have extreme banks making recovery difficult. If the pin is on the front definitely don’t be up the back as a three putt is almost guaranteed. 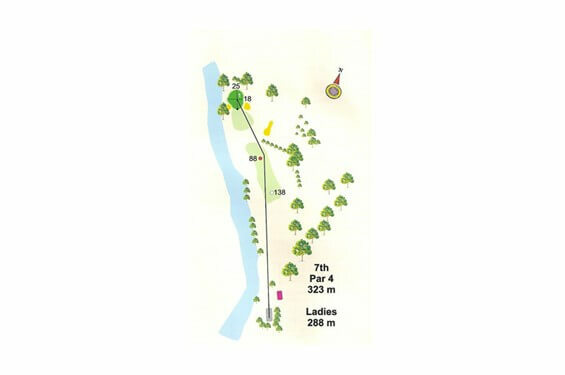 A difficult hole because of its length and the ball runs left on the landing catching mishits in the bunker. 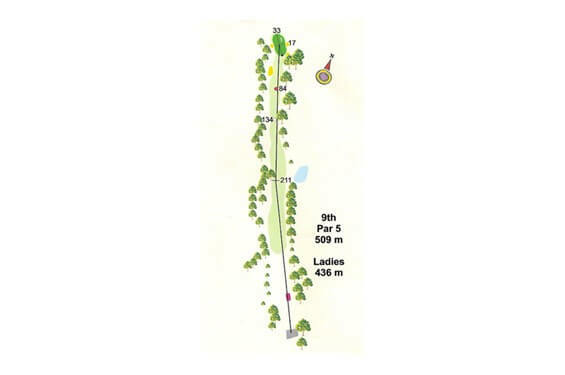 If the pin is back left in the championship position the ideal line is the net at the back of the green as the ball will run left on landing. The hardest hole on the course. 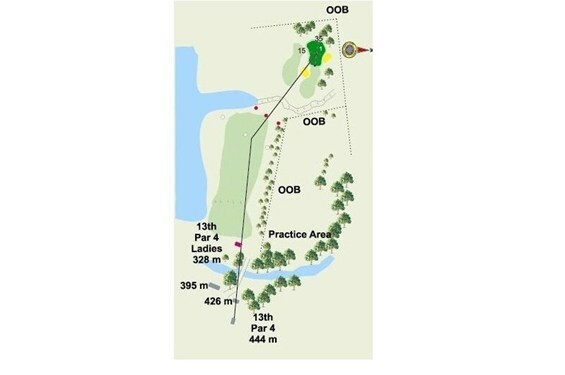 Best driving line is down the right hand side of the fairway leaving a shorter shot to the green although this line may require a shot over the bunker. 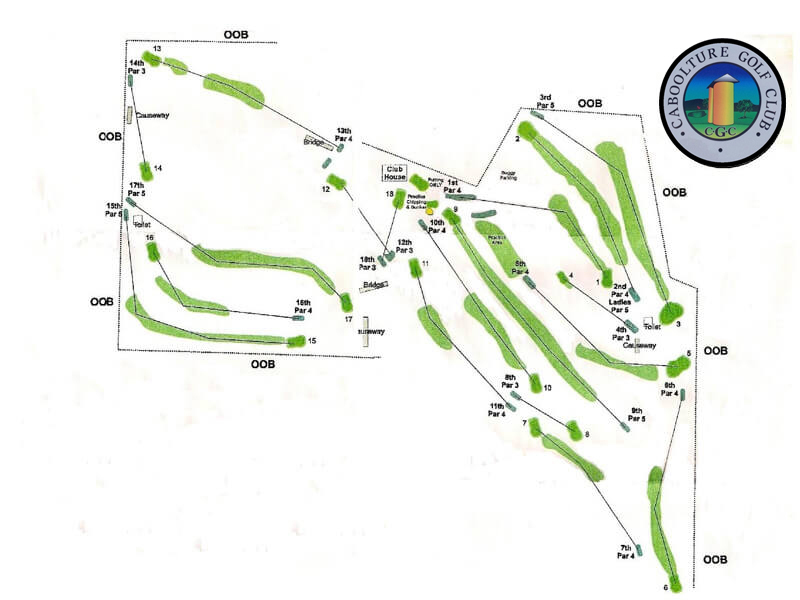 The large green is protected by a forward bunker on the left and a green side bunker on the right. The green has a small tier running diagonally across the green from about 1/3 front left to 2/3 back right. Putting along this ridge to get to the pin can be difficult. Plays harder than it looks, hazard along the entire left side with water a short way in front of the tee. There is OOB on the right, but will only catch the mishits. A larger green protected by a shallow bunker in front of the green. Length of putt and subtle breaks are the only worries once on the green. Looks easy – plays hard, with OOB along the entire right side of the hole. 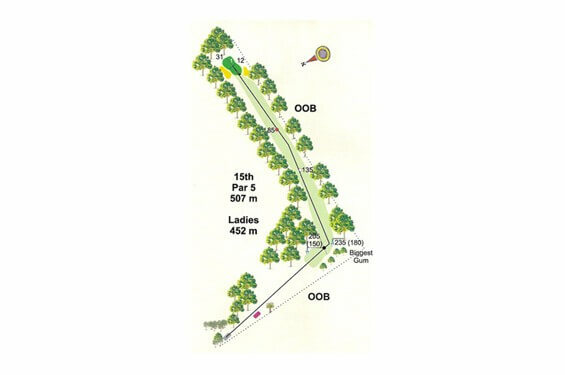 A drive straight down the middle of the trees at the end with a draw is what’s required. Three wood or less is enough for most, but the longer hitters should definitely play an iron. 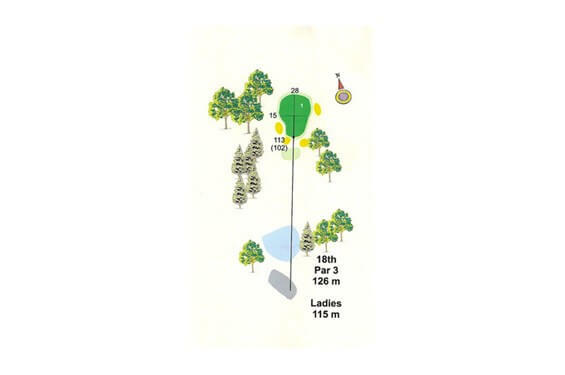 Some use a driver and attempt to carry the trees, hit it too well and you are OOB. 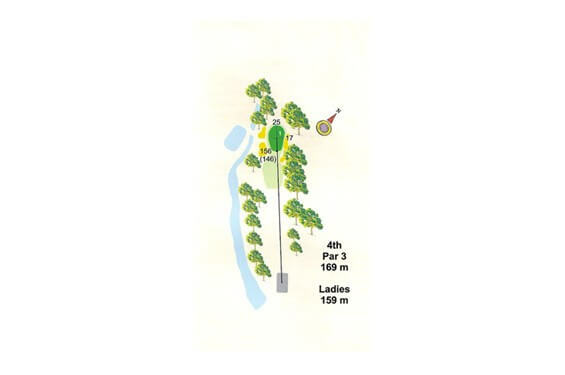 The second shot is straight forward up the left side of the fairway; this shot may run right on landing. 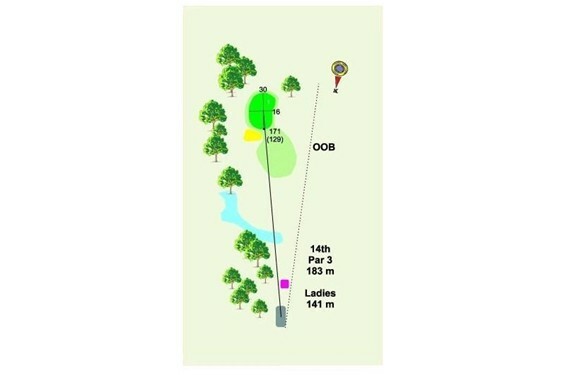 You can’t see it all off the tee, there is a dam in the right catching a drive that may well kick right on landing. Shorter shots down the right will run into the “valley of sin” where a chip out is often required. 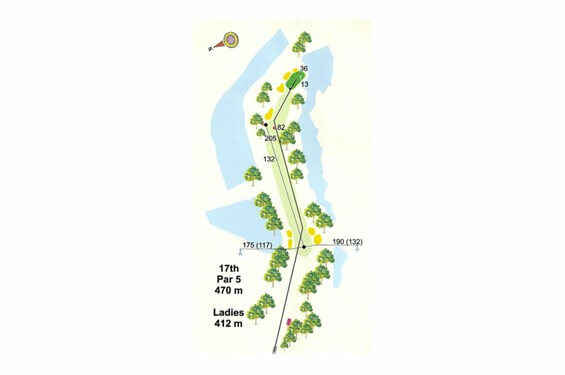 The ideal line is the red distance marker at the end of the fairway with a three wood or an iron to take the water out of play. The green has a ridge running front to back up the left hand side of the green. Balls landing on the extreme left hand side of the green will normally bounce off. 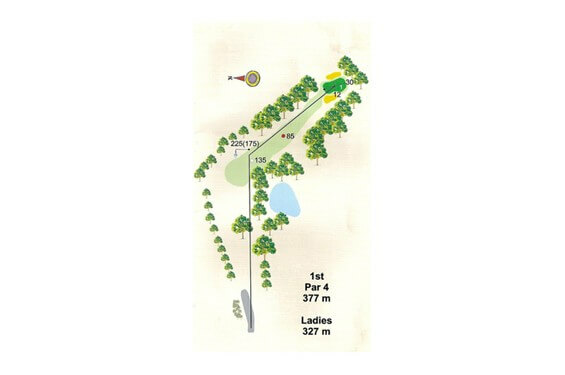 A double dogleg hole that offers many opportunities as you near the end of your round. There are large inviting hazards left and right with fairway bunkers on both sides. If you want to make 4 or 5 every time you play this hole, it should be played the way it was designed. An iron off the tee at the far right hand fairway bunker, leaves a simple iron shot with a little fade to the corner, reach the end of the fairway to give the optimum line to the pin. One of the easier holes, but being uphill can confuse club selection with the subtle wind being a factor as it may go unnoticed. Hitting the mango tree on the right often catches the unwary. The green has large bunkers visible in the front left and right and one on each side further back. There are subtle slopes on the green and the ball can be spun back off the green if the pin is attacked when cut towards the front. There is a small swale at the back catching the longer shots.